The Data Revolution has expanded its reach, this time making its way to construction and forestry equipment through the use of fleet tracking and management. This new brand of technology is a good thing for fleet owners and operators, as it allows both camps to monitor equipment and track important details that impact productivity, efficiency, cost, and maintenance. Read on for further information on fleet management systems and how it affects you and your business. Fleet management has been around for a few years and is gaining in popularity. In fact, it’s slated to become the industry standard in the next five years. But what is it? Fleet management solutions enable owners to track important data about their machinery, increasing efficiency on and off the work site. Owners can track information about equipment operations, machine health and engine performance, location of the equipment (which helps to prevent theft), engine idle time, fault codes, and fuel consumption and cost. Operators likewise benefit from this forestry technology, as they can quickly and easily use the monitoring capabilities to perform diagnostics on-site and fix any problems or malfunctioning equipment with minimal down time. This enables the operator to perform basic, routine maintenance anytime and anywhere, and get back to work as fast as possible. The ability to be proactive about maintenance issues actually benefits both the owner (or equipment rental company) and the operator. Less downtime means improved efficiency and greater productivity, which leads to better business and financial gains. GPS fleet tracking protects the owner and equipment, as owners can remotely locate equipment in the event of theft. This feature also enables owners and project managers to quickly know which job sites their machines are located and redeploy those machines to new worksites in an instant. The GPS fleet tracking system works in tandem with the remote diagnostics to improve maintenance. As technicians can easily detect issues before heading to the job site, it ensures they pack the right tools and parts to fix the machine. The technician working nearest the problematic equipment can be dispatched for repairs, which helps to avoid downtime for the machine and its operator. 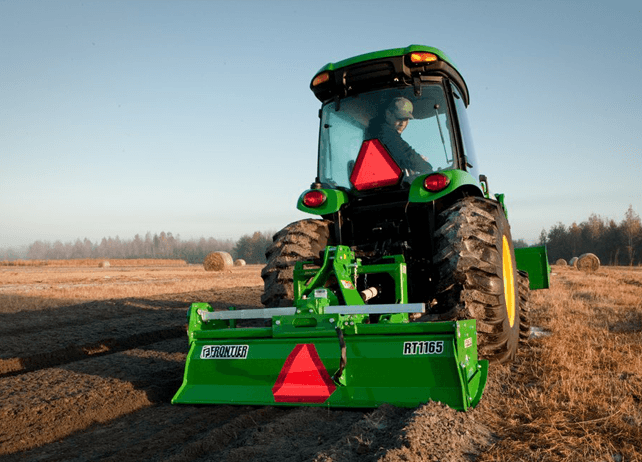 John Deere technology has been ahead of the competition for many years, as the manufacturer is dedicated to implementing fleet telematics into all of its newest machines and easing the transition to this data revolution for owners and operators alike. John Deere WorkSight™ technologies were created to help customers increase uptime, reduce daily operating costs, reduce fuel consumption, and increase productivity. John Deere created a series of informational videos to teach owners, operators, and project managers about WorkSight™, and to explain some of the more complex concepts. Video topics include getting the most out of machines, increasing machine uptime, machine utilization across jobsites, remote software upgrades, and more. This John Deere technology works with the owner’s own software system, enabling them to analyze data across mixed fleets, which saves time and improves data accuracy. This cross-population of information increases data integrity and allows owners to quickly and easily examine runtime hours for billing, optimize service to reduce costs, and improve logistics. Fleet management solutions are changing and evolving at a rapid pace. This constant improvement and focus on customizability benefits owners, operators, and fleet managers alike. Telematics are an asset to fleets of all sizes as they improve management capabilities on and off the worksite. Whether you’re already familiar with fleet management systems or you’re just dipping your toes in the water, you’re certain to find the data beneficial for your business. To find out more about the latest technology and fleet management systems in new John Deere and Hitachi construction & forestry equipment, contact us today or visit us at any of our locations across Oregon, California, Washington, and Nevada.